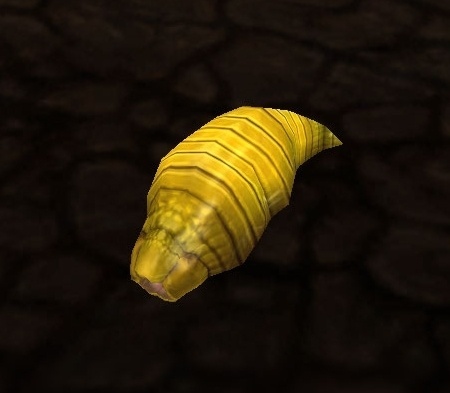 Phat Lewts' Gold Blog: Rare Battle Pets Mean Lots of Gold! It seems Cold beat me to posting a list, but I'm going to post the list I've been working on along with the gold making tips here, but definitely check out his list as well. So we have come to that juncture in time. What to do with rare pets? Well luckily for you I'm just crazy enough to put together a list, organized by means of obtaining, of all the current pets that are going to be made into Rare Battle pets. That list can be found here. Take a moment to familiarize yourself with this. It's important. So now the truly interesting part of the post. The pets that I'm most focused on is these. The rare spawns. The Darkmoon pets will be tradeable, but IMO they're too common/easy to obtain. Also, the Profession and Achievement pets will possibly be tradeable. I have a feeling the Achievement ones may be made non-tradeable so I'm not going to solely focus on them. The reason we want to get these is because "If you have multiple versions of the same pet on multiple characters on your account, they will be merged into one. We will place any extras in your bags or mail them to you if you are out of space." This is important. If you get say 10 of a rare BoP pet, one on each of your alts, you will recieve 9 in the mail that are (as of right now) sellable. DISCLAIMER: I'm not guaranteeing that this will be how it is when MoP ships, but for now it's all we have to go on, and I'm digging it. This little guy is just cool looking! 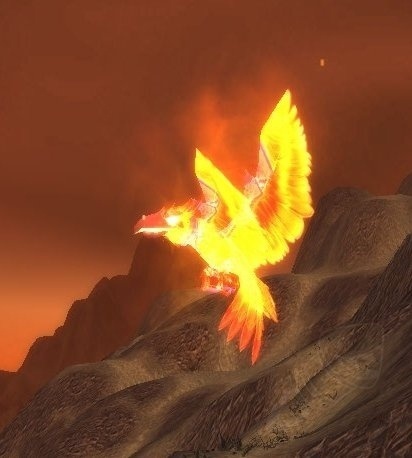 Who wouldn't want a phoenix as a battle pet? This guy is an ~9% drop from the last boss of Magisters' Terrace. This can be completed on Normal or heroic, and soloed easily by an 85. I personally would suggest you do a heroic run on each of the alts you want to try for this pet on rather than a bunch of normal runs on one alt. Why? Account wide mounts and this boss on heroic drops Swift White Hawkstrider. Of course after you obtain it, feel free to farm the pet on regulars, or ignore the mount altogether, it's your call! This guy intrigues me. He may not be the most pretty pet, but comments on wowhead say this guy is not too hard to farm, because adds respawn in certain areas quite quickly. When 5.0.4 comes out (the Pre-expansion patch) AoE looting will be added to the game. Mr. Grubbs is going to be my first personal test of AoE looting. If the adds spawn as fast as some claim they do, this 1% drop should be easily farmable (need to complete certain quests first). Again I personally will not even attempt this guy until 5.0.4 drops, because hey why not wait for AoE looting? The one drawback may be that when they make the pets account bound in 5.0.4 you may not be able to get the multiples. Only time will tell (and hopefully some more blue posts before then!). If nothing else I will cage the one that I get and sell it :-P.
Tiny Shale Spider, obtained today. There are two pets in Deepholm that I have my eye on for Battle Pets. Pebble, the reward from doing 10 Dailies: Rock Lover, and Tiny Shale Spider, obtained from killing the rare spawn Jadefang. If you have the dailies unlocked in Uldum you can try for both of these. I had never gone after Jadefang before so I tried to see how difficult it was. Jadefang was there when I went, and I got my first Tiny Shale Spider. This comment on Wowhead explains how to get there perfectly. For both of these you will need to have the dailies in Deepholm unlocked. Like I said originally I am skeptical as to whether or not Achievment pets (in this case Pebble) will be tradeable, but I am confident that the Rare Spawns will be (ie Tiny Shale Spider). The last pets I'm going to try to get multiples of are the Crocolisk pets from the Shattrath Fishing Daily: Crocolisks in the City. These cute little guys are too good to pass up, even if "quest pets" are non-tradeable at the moment. The reason I'm thinking that these guys could possibly be tradeable is because they're not directly obtainable from the quest, they are drops from the bags, and I think if they do become tradeable, they'll be great sellers. That's all for me on the gold making front of these pets. Which one of the Rare Battle Pets are you most excited about? Got my 2nd Shale Spider last night, 2 in one day, I've been reading forum posts saying that the spawn timer is about 12-24 hours, which is nice. Parked my druid out there now, hoping for my 3rd today! Mr Grubbs isn't as rare a drop as WoWhead makes it out to be. I got one on an alt I was leveling through there without even knowing it existed, then I went back on my pet/mount collector and got it within a few kills of getting the lucky charm from Fiona. Yeah the one thing that's keeping me away from doing it right now is that I hate having to click a ton of corpses, checked out those farming locations though, and they're right tons of spawns all in one area! Decided to farm the tiny shale spider on all my chars, and managed to get it on four before I noticed something - it's not a unique item! I've tested it out, and the pet still drops if you have it learned already, and if you have it in your inventory too. My mage is now parked in Deepholm, and I've got two of http://www.wowhead.com/item=64494 in my bags. Am I right in thinking that I'll be able to sell these when MoP is realised, or have I missed something? Yeah I had the same question. I was camping him on my druid and when he spawned sending my alts out there, accidentally sent my priest twice so I have it learned and in inventory. once MoP comes out, all the duplicates will be "caged" and put in your inventory. In theory nothing will happen to the unlearned pets. You could then also cage the one you know (across all alts), and relearn it with the ones in your bags and keep caging and so on. Don't really know how well it will work though, not being on the MoP beta, and not having the rules spelled out. They may be doing something to deter this kind of activity, knowing blizzard, but then again they may just overlook it as they try to get the expansion finished in 2 months. What are your thoughts on Argent Tournament pets? I've been selling them off because they will not be "Rare Battle Pets" this doesn't mean I'm not turning a profit, just thought there was a lot more potential in them than there is and had a big stockpile which I don't think will sell off fast in MoP, but who knows? With inflation prices could go through the roof compared to now, just a matter of time to find out. Either way they'll be mainly used as companions, just keep that in mind. Since 5.0.4 comes out Tuesday, it's almost too late to sell them to alts that would then have multiples.